Savant Shades and lighting are both powerful tools for lowering your electric bills. These systems can have a significant impact separately, and together the benefits become even more substantial. Let’s start with lighting control. 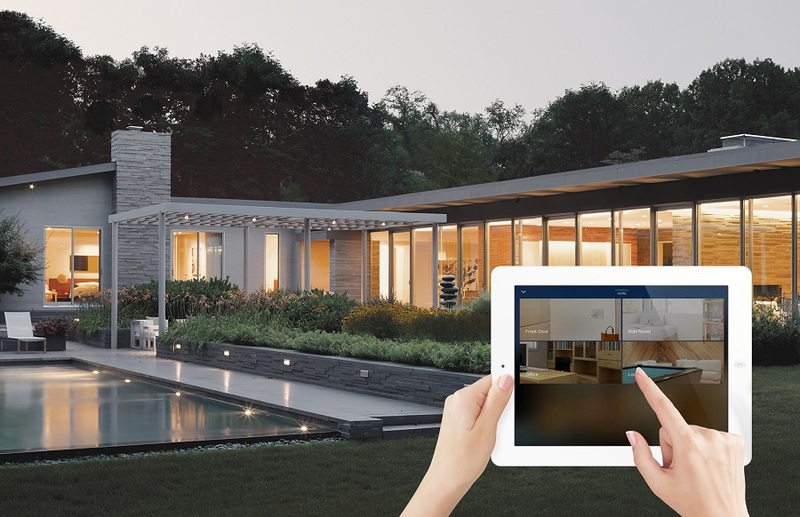 A Savant lighting system involves installing Savant TrueImage bulbs in your fixtures and then connecting them through the Savant app. As long as the bulbs are within 30 feet of each, they form a Bluetooth mesh network that you can control from your phone or with a control surface like a wall panel or keypad. Savant LED bulbs have a maximum brightness of 1,100 lumens while only drawing 15 Watts of power. The bulbs can also be dimmed and set to different colors, allowing for a wider range of lighting designs and styles than typical bulbs can provide. One reason Savant systems are so efficient is the LED bulbs. LEDs use 70-80 percent less energy than incandescent bulbs, and they’re safer to handle than compact fluorescent bulbs. Additionally, the ability to dim your fixtures leads to significant savings. Savant Shades are another potent tool for improving energy efficiency. Savant shades use a process called daylight harvesting to take full advantage of the available sunlight; the shades can adjust themselves according to the time of day and the position of the sun to maintain a stable temperature inside. More stable indoor temperatures mean your heating and cooling systems don’t have to work as hard. Another benefit of Savant lighting and shades is that they make everyday chores much easier while also improving your health. These systems simplify household tasks in ways that are both obvious and subtle. First and foremost, it’s much easier to adjust your lights and shades from an app instead of with traditional switches and cords. You can control individual fixtures or group them by room. The Savant Pro app also lets you program customized “scenes” where multiple systems can be activated with one command. For example, you could create an “Away” scene that turns off every light and lowers your shades when it’s time to head to work. Or you could create a “Movie” for your media room that dims the lights, lowers the shades and turns on your HD TV or projector. If you’re concerned about how safe your home is, Savant shades and lighting are useful measures to improve home security and privacy. Savant shades let in partial sunlight while still hiding what’s happening inside from people outside your home. As for lighting control, you can program your lights to turn on automatically at night or when the system sense’s you’re nearby; that way you’re less vulnerable when approaching your door. You can also use both these systems in combination with the Savant Pro app to improve privacy and safety. If you’re going on vacation and worried about a break-in while you’re gone, you can program your lights and shades to come on automatically at different times throughout the day, creating the impression that somebody is still at home. We firmly believe in the power of Savant shading and lighting systems to transform your life. To learn more, call us at (417) 413-4415 or out our contact form online.